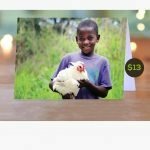 You make a tax-deductible donation of at least $13 to purchase a chicken for a family in Africa. 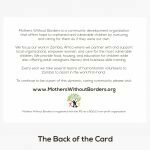 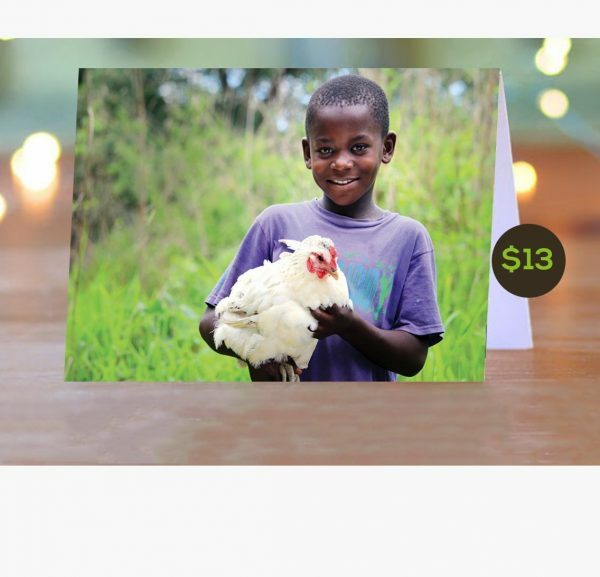 For each $13+ donation you make, we will send you a card (see images). 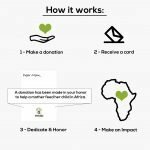 Your donation is used to make real impact for African children in need. 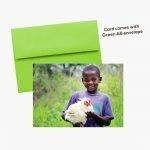 Every $13 spent purchasing these greeting cards can buy a chicken for an African family.